Neutralises the free radicals that cause tissue ageing. 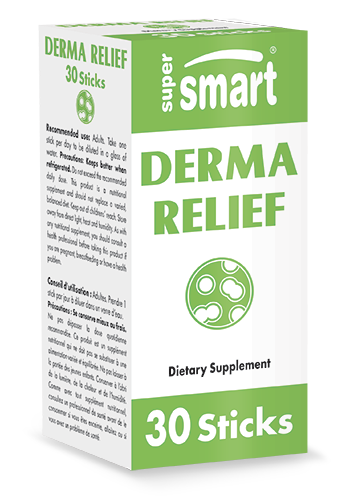 Helps preserve the structure of skin tissues. Quantity : 90 Veg. Caps. Polypodium leucotomos is a type of fern found in the American tropics and sub-tropics. It has a long history of use in Honduran traditional medicine, particularly for the relief and protection of the skin. 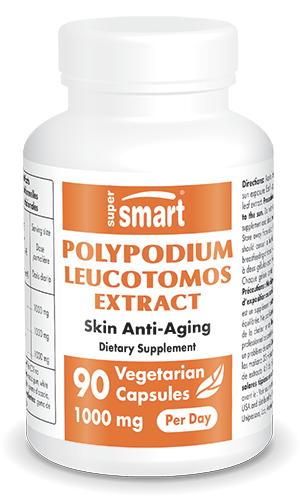 Studies show that Polypodium leucotomos: - has antioxidant, soothing and immunomodulatory effects; - protects DNA; - helps neutralise free radicals and reactive oxygen species, particularly superoxide anion ; - encourages preservation of skin tissue structure.